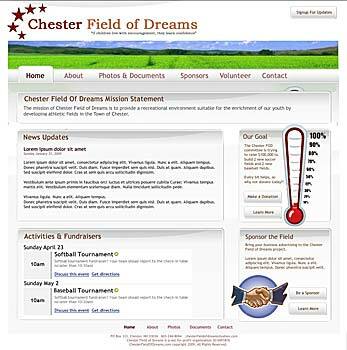 I joined the Chester Field of Dreams board in 2008 to provide some much-needed tech support. We quickly put ideas together and produced the field of dreams website. The website is being converted to a custom CMS so that all board members may quickly and easily post updates and images, as well as update the financial status of the organization.